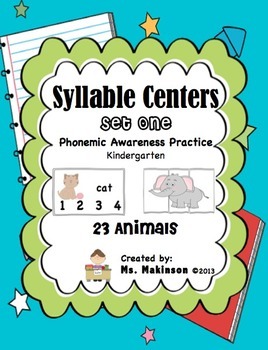 Set One - FOUR syllable centers perfect for practicing phonemic awareness in kindergarten. Can also be used as a whole group activity. Set One Includes: 23 animals. 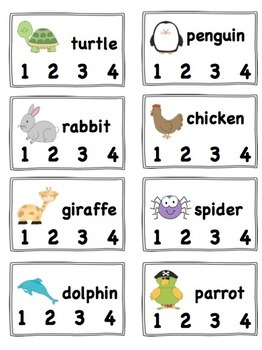 Cards with and without animal names for differentiated instruction! Includes 4 sorting mats and 4 recording sheets. Download the preview to take a look! - Each picture card is divided into pieces according to the number of syllables. 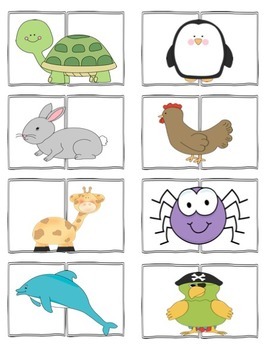 When students have completed a puzzle, have them clap the number of syllables in the animals name! - Say the name of the animal and then sort it onto the sorting mats. 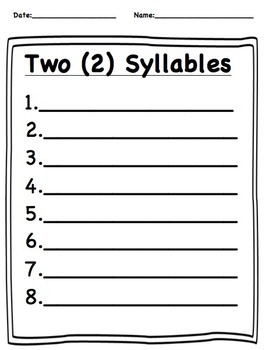 - Say the name of the animal and record the name according to how many syllables it has. -Use clothes pins to clip onto the number of syllables each word has.